Save Now! 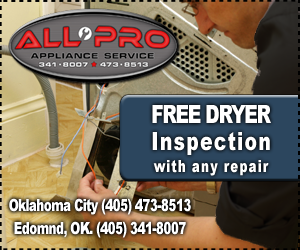 - With the latest All Pro appliance repair coupons and deals. 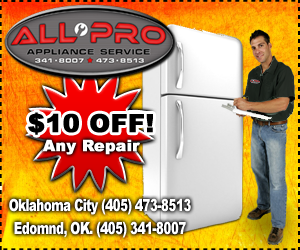 You can always count on All Pro appliance repair to help save on your appliance repair services. We bet that you will be overjoyed that – unlike most major appliance repair companies – we never charge you for a service call that requires repairs. But now we’re bringing your enjoyment to a whole new level…with discount appliance repair savings off your service repair! We were brought up to always be respectful to our elders, and to the brave men and women who put their lives on the line to defend our country and way of life. One way we show that respect is to offer both groups a 10% discount on all repair services. - No coupon needed. 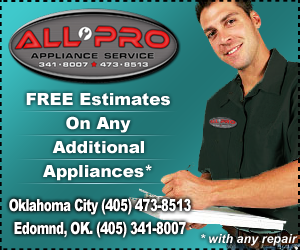 Just ask our friendly All Pro appliance repair technician for your discount. Simply print out any of the coupons shown below and present it to your All Pro Appliance technician at the time of service. PLEASE NOTE: Limit one coupon per day. Not valid with any other discount or offer.